Dostevsky’s piercing examination of the human soul hasn’t found its way onto film very often, but in 1958 Richard Brooks undertook the monumental effort of giving the brothers Karamazov their own Hollywood faces. 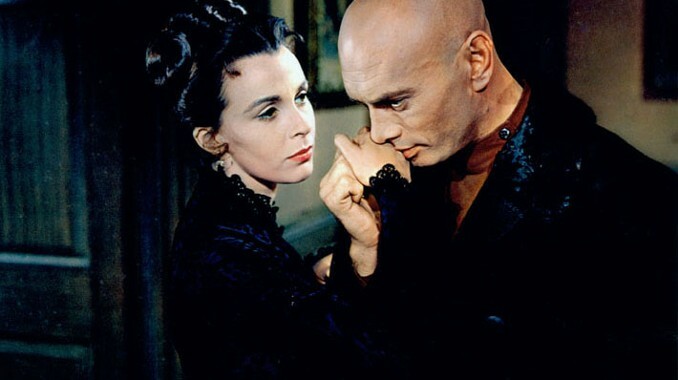 Yul Brynner, William Shatner, and Richard Baseheart took their places as the iconic siblings, while Maria Schell and Claire Bloom were given the exhausting tasks of portraying the love interests in a Dostoevsky story. As a novel, The Brothers Karamazov is about far more than it seems, and replicating those intangible qualities in a film adaption was never going to be an easy accomplishment. For this reason, watching the movie and reading the book are two very different experiences. Dostoevsky’s original work is a relentless exploration of the depths of the psyche, and each brother represents some aspect of human nature which the reader is meant to recognize in himself or herself along the path to spiritual and psychological freedom. The film gives us excellent portrayals of the beloved characters, and we can read the deeper message between the lines as lovers of the book. Brooks did us a great favor by putting The Brothers Karamazov on film, and Dostoevsky’s legions of fans will cherish this cinematic companion piece. Georges Bernanos brought his difficult wartime experiences to bear in his tragic novel Mouchette. In it, a young girl struggles to survive the constant cruelty which assaults her on all sides. With miserable nights at home, tormented days at school, and harassed journeys between the two places, Mouchette is a portrait of relentless sorrow. And yet, Bernanos was not given to bleak hopelessness, and this story was no exception. Though his characters often find their redemption only after much suffering, that hope of freedom is never completely abandoned. 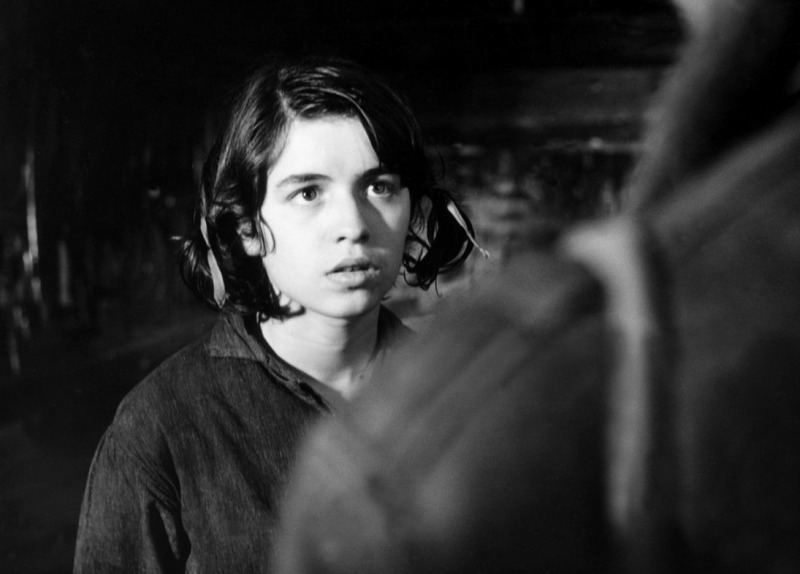 As he did with Diary of a Country Priest, director Robert Bresson once again adapts a Bernanos novel for the screen. If the plot of Mouchette sounds emotionally wrenching, be assured that Bresson makes no attempt to manipulate our feelings. As always, his style of movie making is simple, direct, and unsentimental in its presentation. Using mostly non-professional actors, the film allows the power of the story to project its own moods on the often blank faces of the cast. The girl Mouchette especially seems to the viewer to be stumbling through life in an almost catatonic, robotic state, and the tragedy she endures feels especially poignant for this reason. Mouchette is an unconventionally brilliant literary adaption designed to serve its source material. Kōbō Abe’s novel The Woman in the Dunes was adapted as a film in 1964 by Hiroshi Teshigahara with a screenplay by the author himself. The story is one endlessly rich in metaphors for the power dynamics between men and women, and equally astute in its observations about the futility of human existence. But aside from the broad psychological analyses, Woman in the Dunes stands on its own as a character study and masterclass of filmmaking. The Kafkaesque plot finds a vacationing man unexpectedly trapped in a deep pit, where he must endlessly shovel sand with a woman he’s never met. Little effort is made to explain why the woman is forced to dig sand every day – it’s given as an existing fact which the audience must reckon with, just as the unsuspecting visitor must. Most of the movie takes place in this surreal setting, with the man by turns growing accustomed to his fate, then gathering fresh resolve to escape. But what’s important about Woman in the Dunes is not where the plot goes, but what the plot reveals about its characters. The black and white cinematography of the ever evolving, wind-blown sand dunes is hypnotically beautiful, and adds a sense of infinite variety to an otherwise limited setting. Watching the protagonist weigh the idea of freedom against the reality of structure and perceived purpose is fascinating to watch, and Woman in the Dunes is a classic adaption that deserves your time. John Steinbeck’s sweeping American classic fell into the worthy hands of Elia Kazan for this great 1955 adaption.The novel was one of biblical proportions and themes, and spanned generations relating its history of the Trask family. Steinbeck’s East of Eden makes no attempt to disguise that its inspiration was the ancient story of The Garden of Eden, with its characters representing Adam, Eve, Cain and Abel. That archetypal story of love, betrayal, hate, and guilt was transported to and reimagined in a still young America with brilliant success. Kazan’s film made the tough decision to focus on the latter part of the novel, which examined the fortunes of the youngest generation of Trasks. Its cast is an enviable one – James Dean, Julie Harris, Raymond Massey, Jo Van Fleet, and Burl Ives all give memorable performances. Of the three films that James Dean made, this was the only one released during his lifetime. 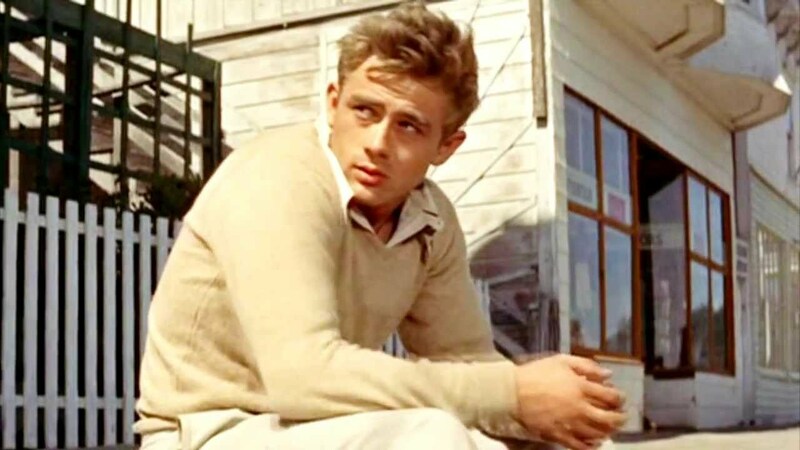 Filmed in gorgeous CinemaScope color, East of Eden is a faithful, though abbreviated presentation of the literary classic. This novel by Giuseppe Tomasi di Lampedusa had to first suffer rejection by two publishing houses before becoming one of the most acclaimed and best-selling novels in Italian history. It focuses on an important time in 19th century Italy known as the Risorgimento, when changes were sweeping through Sicilian life and society. Luchino Visconti turned the literary saga into an epic film in 1963. 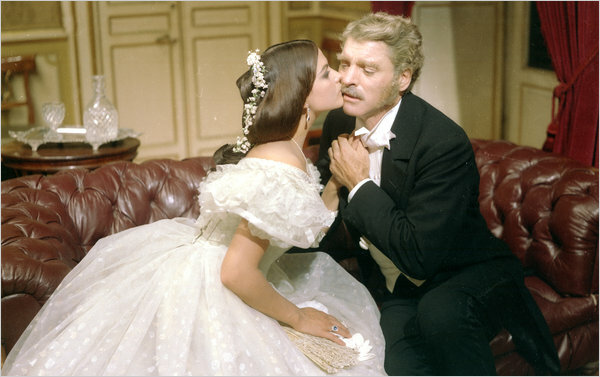 Visconti assembled a brilliant international cast for his film, including Burt Lancaster, Claudia Cardinale and Alain Delon. It’s gorgeously filmed, culminating in an iconic ballroom scene which New York Magazine described as “almost unbearably moving.” The lengthy Leopard has been seen in four different versions over the years, with some cuts being made by Visconti and some by the distributing studio. An English version features Burt Lancaster’s original voice, while the Italian versions have his lines dubbed into The Leopard’s native language. The Leopard stands as a masterpiece of literature and film, and both are worthy of your time.